FACT SHEET: Why hire James Farrell to represent the interests of bicyclists in Jefferson City? The Missouri Bicycle Federation, in cooperation with Missouri bicycle clubs and organizations, is planning to hire a James Farrell to represent the interests of Missouri bicyclists before the Missouri legislature during the 2005 legislative session. Farrell's work for Great Rivers Greenway has been a positive experience. Great Rivers collects and distributes about $10 million annually for greenway projects, which include both greenway trails and on-street bike routes. We are, to a degree, "sharing" Farrell's services with Great Rivers. This means that Farrell's fee is lowered somewhat. There is good synergy between the work Farrell will do for Great Rivers and the work for us. So he will be doing more than just looking after our particular piece of legislation (which is all most lobbyists would do for this fee). Because is already working for Great Rivers on these issues, he will be on the lookout for us, too, on issues that affect bicycling (both on- and off-road), trails, funding, transportation policy and pedestrian issues. Farrell has many good contacts in the business community--he also represents the St. Louis Regional Chamber & Growth Association. He also has many contacts among party leaders and staff members of leaders in Jefferson City. These kinds of contacts are necessary if we want to move our agenda forward in the current legislature. Farrell and the people from Great Rivers Greenway have a number of good ideas about how to present a bicycle-friendly Missouri as important for Missouri business--for tourism and economic development. These are the kinds of arguments that will resonate with our political leaders in Jefferson City. Hiring Mr. Farrell to promote the interests of bicyclists in Jefferson City is one of the biggest steps forward ever for Missouri bicycle advocacy. Join or renew your MoBikeFed membership. Our members are our greatest source of strength. Give MoBikeFed gift memberships to your friends/relatives--that way your gift counts twice! Why do bicyclists need a representative in Jefferson City? Why is James Farrell a good choice? FACT SHEET: Why hire a lobbyist? FACT SHEET: Why Hire James Farrell? FACT SHEET: What is in the proposed legislation? FACT SHEET: What is MoBikeFed's track record? « Previous story: Why hire a lobbyist? » Next story: FACT SHEET: What will be in MoBikeFed's 2005 proposed legislation? FACT SHEET: What will be in MoBikeFed's 2005 proposed legislation? 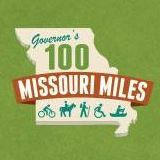 FACT SHEET: What is the Missouri Bicycle Federation's track record?